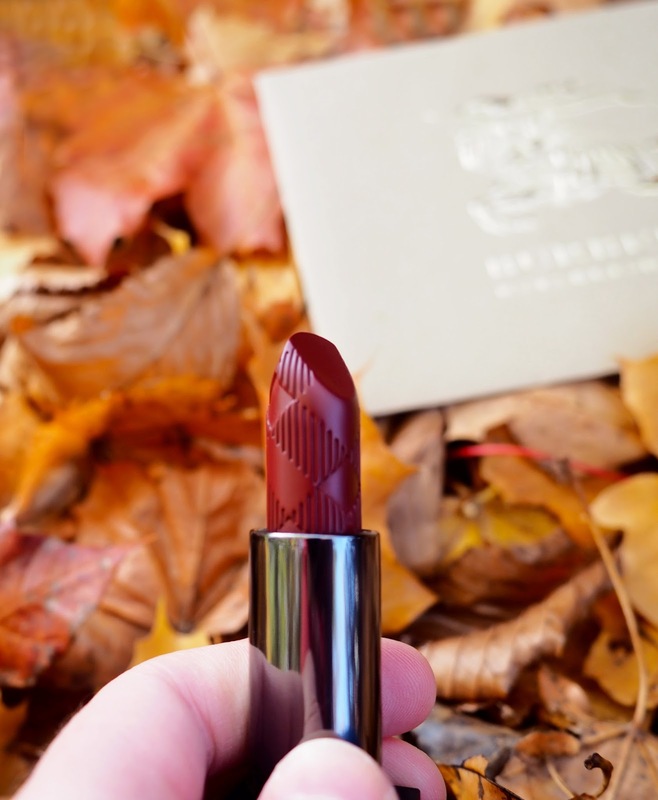 Burberry have launched the Oxblood shade across their line of lip products; to include the more sheer products like their Lip Mists, the moisturising Burberry Kisses lipsticks (I reviewed the shade Military Red here) and also their Lip Definers. 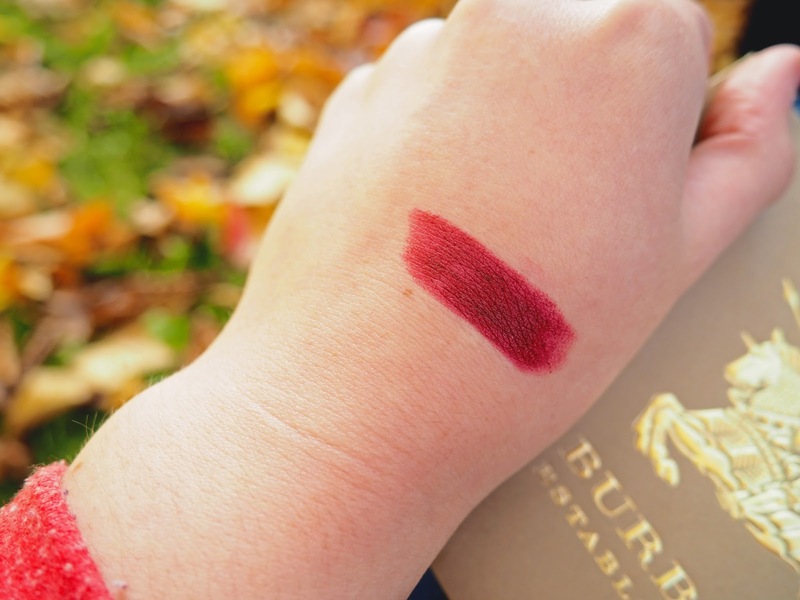 I opted for one of their Lip Velvets (£26), which have a matte formulation. Personally, matte is the go-to for deep shades as it is more long lasting on the lips and doesn't end up halfway down your chin after the mid-morning latte & muffin combo. I ordered directly from the Burberry website, and I cannot fault the service. I was pleased to see that delivery was complementary. Paying almost £30 for a lipstick, I didn't want to be forking out a penny more than I had to. The lipstick arrived quickly in the most divine packaging. 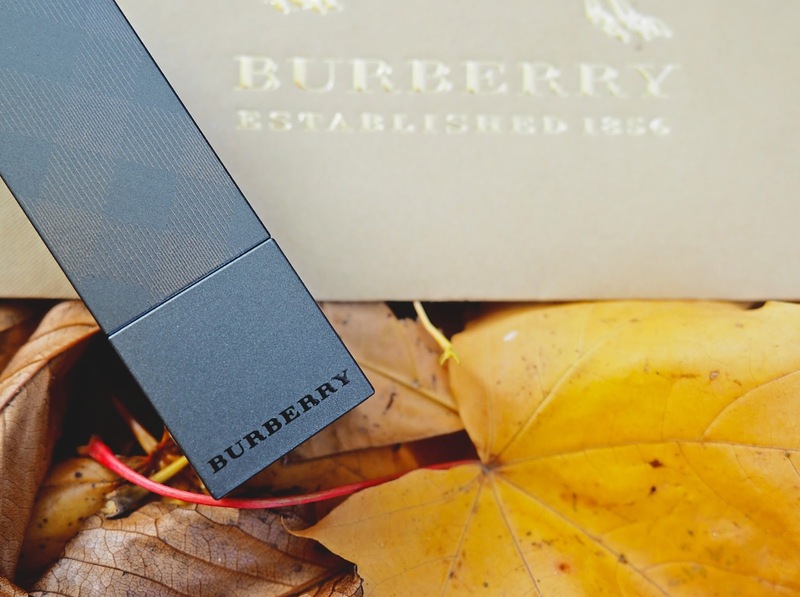 The delivery note was in an embossed Burberry envelope, which was such a lovely touch, and the product even came in a little gift box which I'll be reusing without a doubt. It is touches like this that make high end beauty that little bit more special. 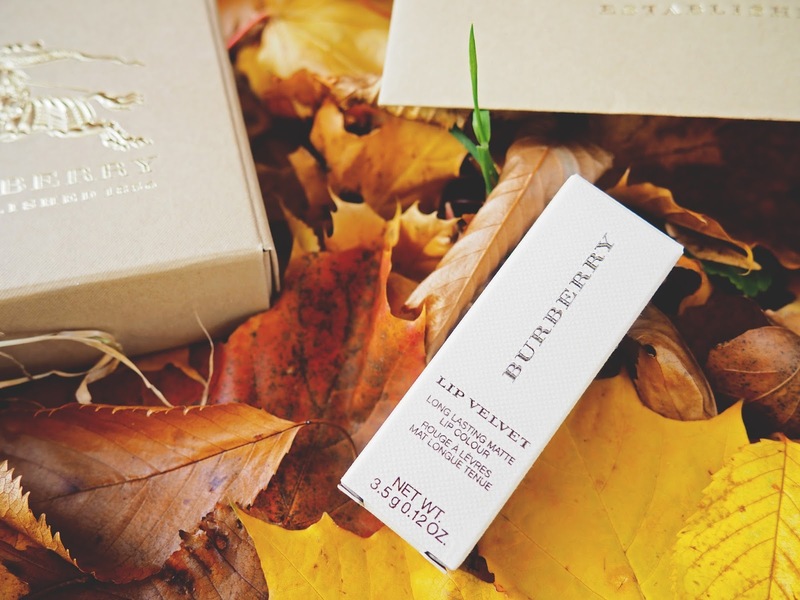 These extras were also just made for blog photo props, so thank you Burberry! 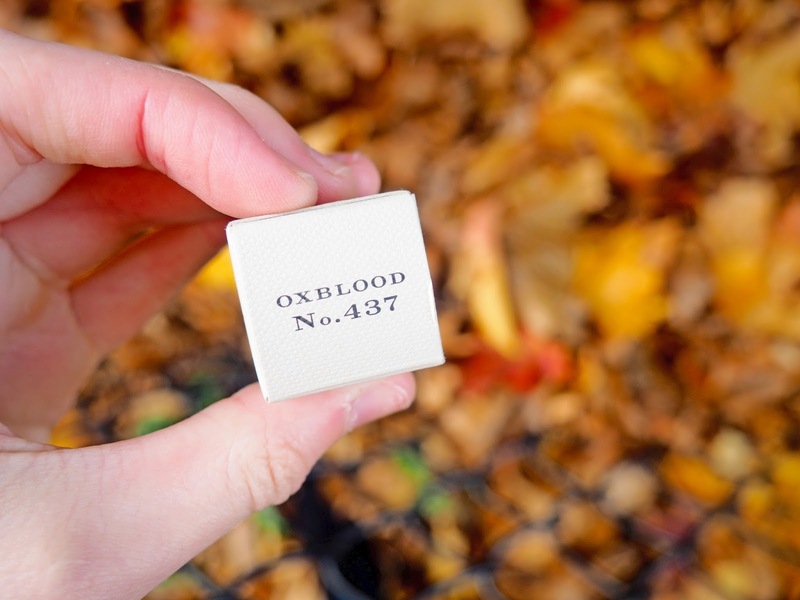 Moving onto the good stuff, and Oxblood is a gorgeous deep burgundy red shade. 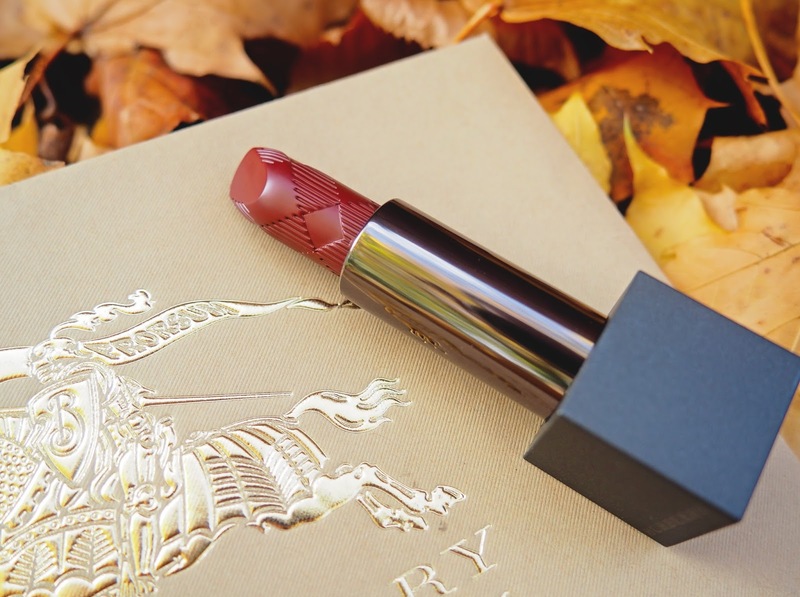 It leans more on the brown side than berry, which makes it a little different from your typical Autumnal lipstick. It is unique to my collection, although if I had to compare it to something, it'd be MAC Diva or Rimmel Kate Moss Lipstick in 01. The formula isn't so much a one-swipe wonder as the Estée Lauder Pure Colour Envy Matte Sculpting Lipstick (longest name ever!) formula, however it is buildable which makes it pretty hard to go wrong for dark lipstick noObs novices. What's your all-time favourite lipstick?